Balbir Singh Senior sits in his languid stupor, allowing his mind to race backwards. Between sporadic recollections, he stares blankly at the glass window in front of him, as if piecing together vignettes from his illustrious career into a cohesive tale of triumphs and tears. The wax in his left ear is troubling him, the memory is somewhat sketchy, but once the grand old man of Indian hockey is nudged, he is hard to stop. It is 70 years to that day, and Balbir remembers 12 August, 1948 in all its glory. Why wouldn’t he, for he was the throbbing heart of a pulsating forward line, and the highest scorer for his team despite playing only two matches. “Well, 1948. What do I say? What a day! It’s very difficult to explain what I felt. The entire world was at our disposal. Independent India, first Olympics, first gold. It was unbelievable. Of course, beating England, our former masters, on their turf in the final made it all the more special,” he says, glistening with pride. For a nation that had recently been witness to the most bloodied mass migration in human history, for its people who were torn between celebrating their new-found freedom and grieving their dead, for an economy that needed to be built from the very beginning, for the dying and destitute, the defeated and dreamless, the hungry and homeless, the importance and impact of a gold disc measuring 51.4 mm in diameter can’t be stated enough. Sports are an integral part of nation-building, and on that heady Thursday, a stuttering nation found its first sense of hope and belief. Professor Dr Sudesh Kumar Gupta, sports historian and sociologist and a close friend of Balbir, puts that achievement in perspective. “We were ruled by British for 200 years. Our social settings and attitudes change a lot in 15 years; imagine being ruled for 200 years. 1948 was the first time when our flag went up, and the real socio-cultural importance of that gold was the Queen and the entire paraphernalia standing up to salute us, barely 10 months after we became an independent nation,” he says. Dr Gupta would know. Thanks to his historical research and rich tales from his late father - Dr BL Gupta, the founder-head of Department of Physical Education, Punjab University who also served as the secretary-general of Indian Hockey Federation – Sudesh is privy to the deepest secrets of Indian hockey. “Not many people know, but there were subdued discussions of fielding a joint India-Pakistan team for the London Olympics, primarily because the strong team of undivided India ceased to exist after Partition. However, the proposal didn’t come through, and we had separate India and Pakistan teams,” he informs. Things were different a year before the Olympics, when in June-July, a full-strength Punjab team won their second successive National Championships in Bombay, beating hosts in the final. Months later, India and Pakistan endured the horrors of Partition, and Balbir, a policeman, witnessed the carnage from close quarters. “It was ghastly; blood and bodies everywhere. We worked round the clock to quell riots, but it was just too much. I literally saw rivers of blood,” he says. The challenge, in terms of hockey though, was to deal with the exodus of talented players to Pakistan. Maqbool Hashmat, Aziz, Shahrukh, Ali Iqtidar Shah Dara and Khurram had opted to stay in the new country, leaving India with the enviable task of building a new team. Dara, in fact, was part of the team that won gold at the Berlin Olympics in 1936. 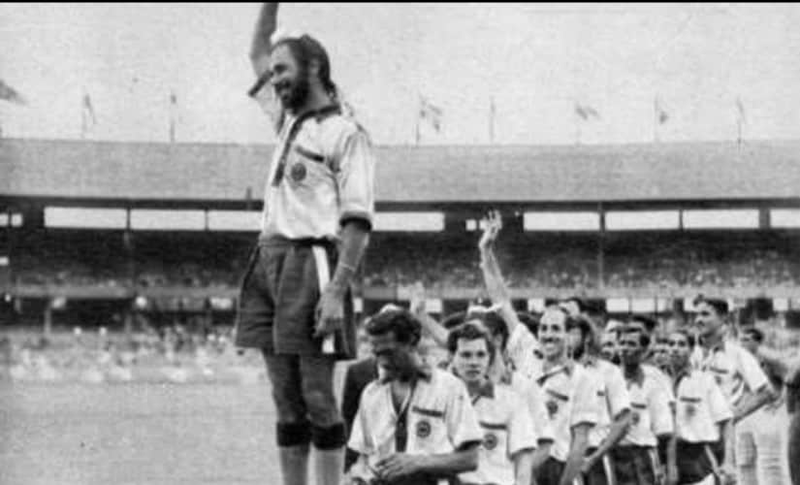 Balbir Singh Senior ended the 1948 Olympics as India's leading scorer. “Maqbool (Hashmat) was my senior and my right wing. An excellent player, and an even better human being. He taught me to look left and pass right. Aziz was my left wing. Those were very fine players, maybe better than me,” Balbir had told Firstpost in an earlier interaction. However, in Sant Prakash Singh and Ashwini Kumar, Punjab found two police officers who were equally passionate about hockey. Sant was independent Punjab’s first Inspector-General, while Ashwini was Superintendent of Police. A new Punjab Hockey Association was formed in Ambala, and Sant and Ashwini organised multiple camps across the state to create and identify fresh talent pool. 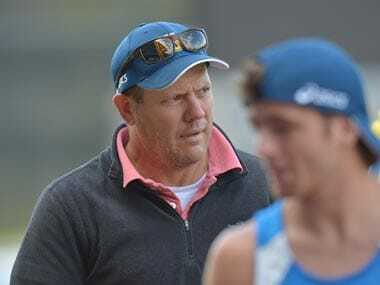 Before the Olympics, a preparatory camp was held in Bombay, and Balbir, despite playing a key role in Punjab winning their last two Nationals and being a part of the team that toured Ceylon (now Sri Lanka) the previous season, was curiously not invited. He was called two weeks later, after an Anglo-Indian player raised the issue and the press began to write about it. Balbir sensed something amiss when he was not allowed to play as a centre-forward – “not even for a day,” he insists – and instead was asked to play at the unfamiliar inside-right position. He eventually made it to the 20-member squad that flew to London. The 79-member, all-men Indian contingent were to take part in 39 events across 10 sports. Upon landing at the Heathrow Airport, the team was greeted by Balbir’s former boss at Punjab Police, Sir John Bennett. Balbir met his now-Pakistani friends at the opening ceremony in Wembley Stadium, and was taken aback by their lack of warmth. “Niaz Khan, Dara, Shahrukh, Mehmood and Aziz saw us, but I was surprised to notice that our old friends were deliberately trying to keep a distance from us. The openness was missing; our feelings were mixed,” Balbir writes in his autobiography The Golden Hat Trick. India were led by Kishan Lal, and KD Singh ‘Babu’ as captain and vice-captain respectively, while AC Chatterjee and Pankaj Gupta were joint managers of the hockey team. Those were the times when managers and senior players doubled up as coaches, and terms such as analysts, think-tanks and strategists were unheard of. Balbir was not played in the first match against Austria, that India won 8-0 with Patrick Jensen sounding the board four times. He finally got his chance in the next game, against Argentina. Playing in his desired position as the centre-forward, 24-year-old Balbir pumped in six goals as India routed the South American nation 9-1. It remains the record of most goals by a player on Olympic debut. India next played Spain, and Balbir, despite being listed in the initial playing XI, was dropped. Grahanandan ‘Nandi’ Singh was fielded as Balbir’s replacement, but the former failed to make an impact in India’s hard-fought 2-0 win. The story repeated itself in the semi-final against Holland, where after trailing 0-1, India scrapped to a 2-1 win. Balbir, in fact, was pulled out as he was about to bully-off with the opposing forward. “We had hopped on to the field and the match was about to start when our captain Kishan Lal tugged my shirt and said, ‘Bhaiya aap aj nai khel rahe.’ I still remember those words. Fir bhaiyya kya karta? I walked back. Imagine a jam-packed stadium, the crowd waiting for the start, your name is on the team sheet, you have created an Olympic record in your previous game, and then this drama. 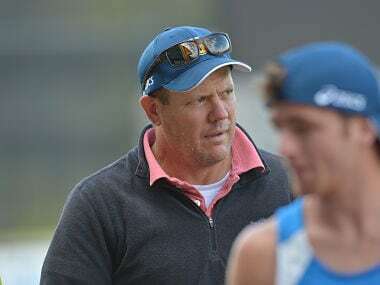 Dukh to hota hai, and thoda gussa bhi aata hai, but to control your anger is also part of a sportsperson’s job,” he says. While Balbir refrains from going on record about the motives behind this dubious call, Dr SK Gupta offers an explanation. “In those days, the rule was that if a team finishes on the podium, only those members of the squad who had played a match used to get the medal, not the entire squad. So instead of fielding the best XI, here we were, trying to ensure everybody gets a medal, if we win one,” he says. Balbir’s replacement, Gerald Glacken, could convert only one of the many chances that came his way. The other goal was scored by KD Singh. India’s insipid performance and a near-loss to Holland created a stir in the Indian community and the press in London. 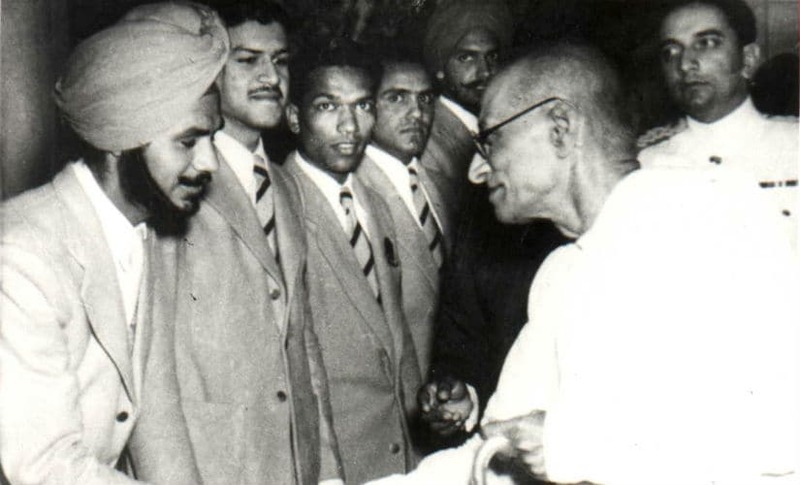 A delegation of Indian students and fans took the matter to India’s High Commissioner in the United Kingdom, VK Krishna Menon, and it was only after his intervention that Balbir could get a place in the playing XI for the final. The final was played against hosts England, who had refrained from playing India all these years, partly because the British thought it undignified to play their colony, and largely, as Dr Gupta believes, from saving themselves the ignominy of losing to India, who had bagged Olympic gold in each of their previous appearances at the Games (1928, 1932, 1936). Before the final, the team talk revolved more on infusing 'josh' in the squad than debating strategies and formations. The final was played right after the third-place playoff between Pakistan and Holland, which meant the ground was not in the best of shape. “I remembered Sir Bennett’s advice: Run for the ball. The stadium was brimming with people, and everyone was chanting for the home team, but after I scored in the seventh minute, they started shouting, ‘Come on, Balbir!’ I must appreciate their sportsmanship,” he remembers. Balbir scored again in the 15th minute, both his goals coming from the top of ‘D’ via passes from Kishan Lal and KD Singh ‘Babu’ respectively. Drizzle arrived twice during the match, making the ground heavier, and the Indians shunned their natural short-passing game and went for long, pinpoint passes. The English public was treated to a spell-binding display of aerial passing, and soon Kishan Lal and Babu began to play barefoot, much to the spectators' amusement. India led 2-0 at the half-time, and Balbir believes he could have scored more had he not been asked to go easy. “After I scored the two goals, suddenly everyone from the team started shouting ‘defend karo’, so I had to slow down. Otherwise, I would have scored a few more,” he chuckles. India kept up the pressure in the second half, and soon enough, two more goals arrived. 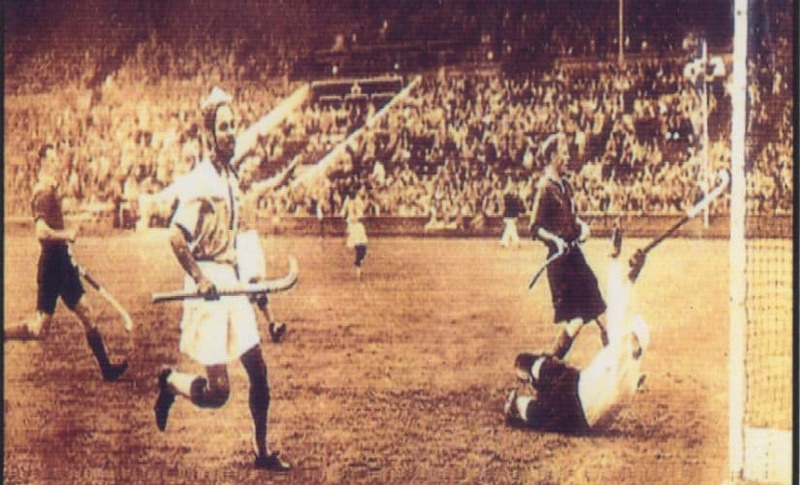 Trilochan Singh scored through penalty corner, and Pat Jensen, India’s second highest scorer in the tournament after Balbir, rounded off India’s incredible campaign with another field goal. 4-0, the scoreline read, but what it doesn’t spell is that a nation that was yet to complete a year of its independence had beaten its erstwhile master who had ruled them with impunity for close to 200 years. It was not an upset; instead, all the years of suffering and servility, of being enslaved at your own home, of being systematically divided and ruled, of being brutally robbed of dignity and purpose, all the blood, sweat and gore of freedom struggle, the throes of the birth of a nation and partition had come alive in that singular moment. “That win told the world that India can do it, that we are good enough at the highest level,” says Dr Gupta. The scenes at Wembley, Balbir recalls, were “unbelievable”, and the team celebrated like “bad boys.” A victory lap and a standing ovation followed. “We were surrounded by fans. They all wanted to touch us, see us. After the match, our High Commissioner VK Krishna Menon came to the ground. We were thrilled to meet him. He held a grand reception for us at India House,” says Balbir. Back then, the concept of prize money didn’t exist, but the Olympic champions were sent to a goodwill tour of mainland Europe. They explored the wonders of France, Czechoslovakia, and Switzerland for a fortnight, before returning to Liverpool, from where they took a ship for a 26-day voyage to Bombay. The team set foot in India to a rapturous, red-carpet welcome. Indian Hockey Federation chief Naval Tata greeted the team on arrival, and a large crowd turned up to catch a glimpse of their heroes. Balbir's wife Sushil was expecting their first child when he had left for London, and by the time he returned, he was the father of Sushbir. "I got two rewards that year. One was the Olympic gold, the other was my daughter," he tells us. Balbir Singh Senior being felicitated by then Governor-General of India, C Rajagopalachari. The team then flew to New Delhi, where then Prime Minister Jawahar Lal Nehru, and then Governor-General C Rajagoplachari hosted another reception. 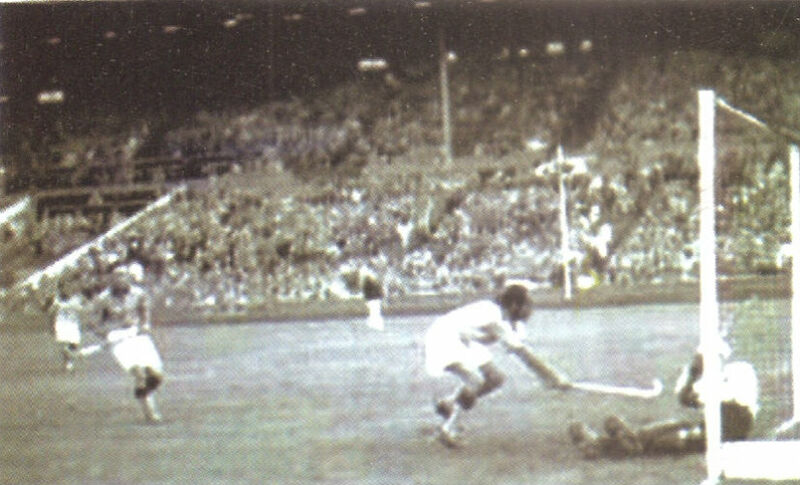 They played an exhibition match in capital’s National Stadium, with the Prime Minister and a full house of 70,000 in attendance. Fittingly, Balbir scored the only goal in that match. “Wherever we went, we were accorded great welcome. It was humbling. There is nothing like victory, really,” he says. Quite a departure from 1936 Olympics, when only two members of Punjab Police had turned up to send the team off to Berlin, from where they returned with another gold medal. “Time never stops. 70 saal ho gaye, wakai. It’s hard to believe. Once upon a time, our average age was 35-40. Imagine! It feels nice to be part of history,” Balbir, one of the two surviving members from that team (the other is Keshav Dutt, who resides in Kolkata), remarks. For a change, he breaks his stare from the glass window and looks at me. “Do you know what is my most dear trophy?” he asks. And before waiting for your correspondent to take an educated guess, points loosely towards a tiny Cup placed on the penultimate row of one of his many overflowing trophy cabinets. “Yes, that one,” he exclaims, as I hold it delicately, trying to study what makes it so special.